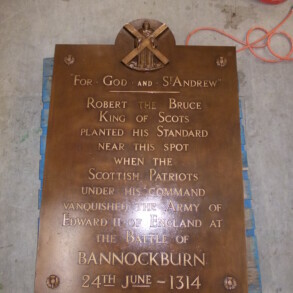 Home > Sculptures, Memorials and Plaques > Memorials > Bannockburn Heritage Centre: bronze plaques. 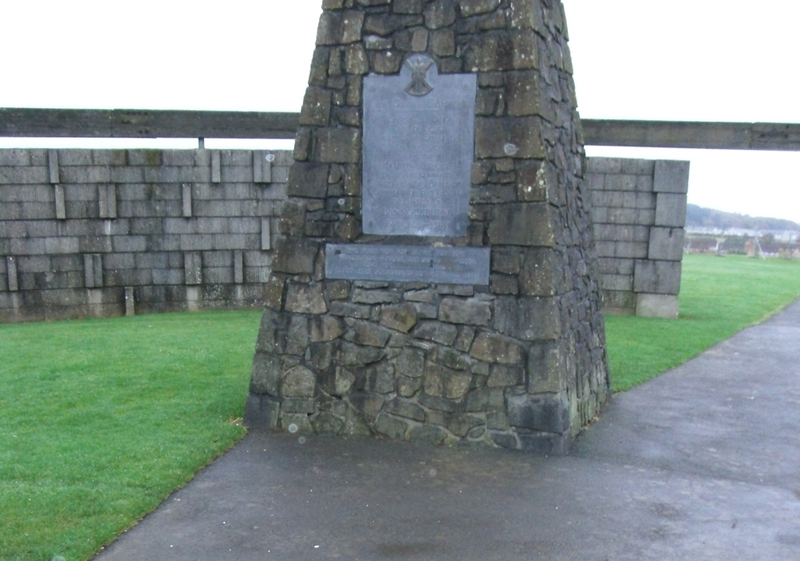 Bannockburn Heritage Centre: bronze plaques. The proportion of the metal mixture used when creating bronze has an effect on how the finished product re-acts to any given treatment. However the technicians and conservators employed by Eura conservation have vast and long term experience in assessing, cleaning, patinating and finishing bronze works. It is this expertise that is used when trying to achieve a standard finish to a number of pieces on the same site. 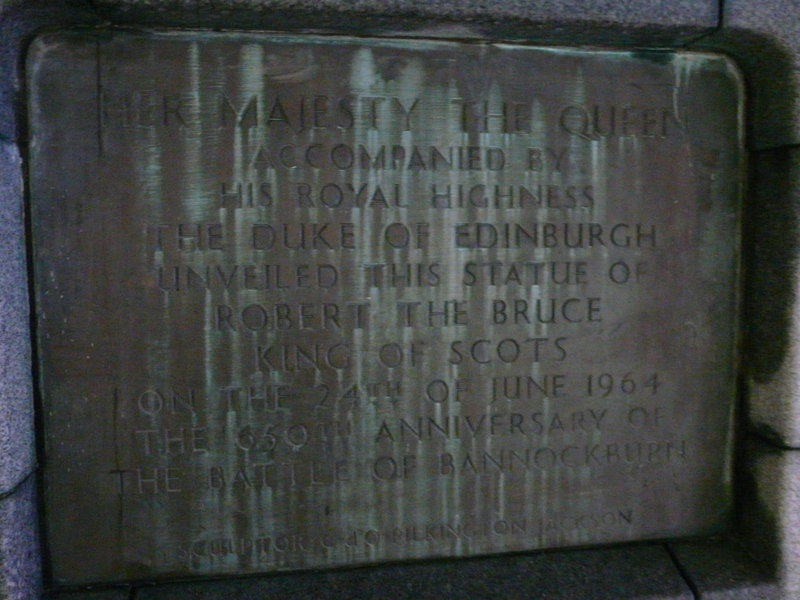 At Bannockburn there are a number of bronzes from differing foundries and of different ages which generally required a cohesive finish. To date the plaques remain in our workshops awaiting replacement on site. 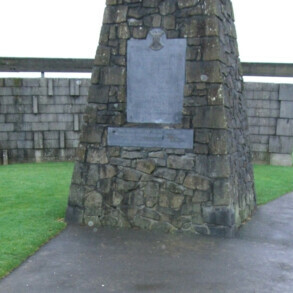 A variety of bronze plaques explain the battle of Bannockburn, one shows the place of the ‘Borestone’, where Robert the Bruce planted his standard during the battle. 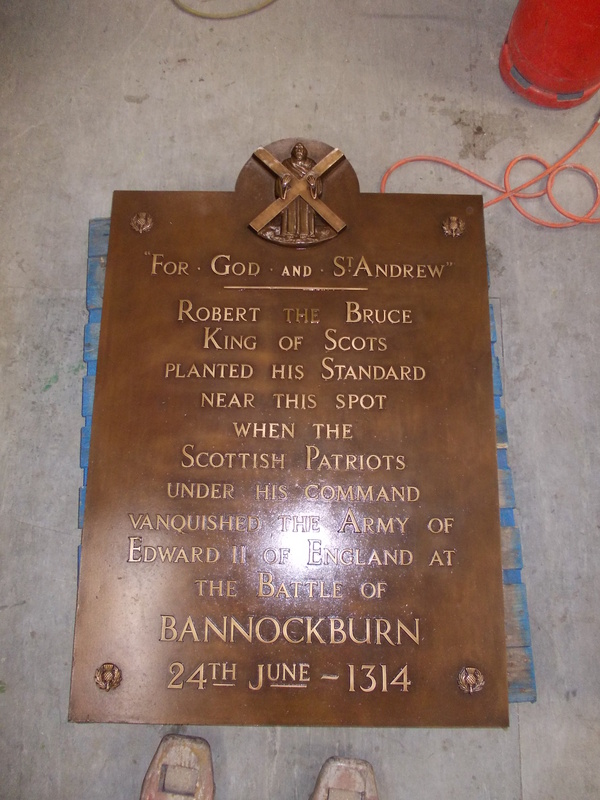 During the extensive renovation and conservation of the whole Bannockburn Heritage Centre we were asked to clean, re-patinate and wax the bronze plaques. 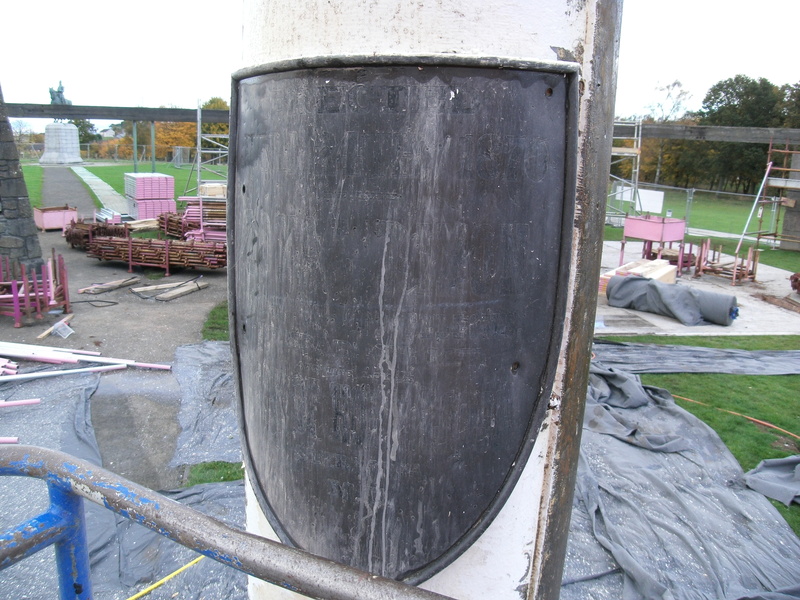 Eura’s expertise in metal conservation was needed to standardise the treatment and final look of the pieces to ensure they fit with the dominant equestrian statue, also conserved by Eura and the site of the ‘Borestone’. 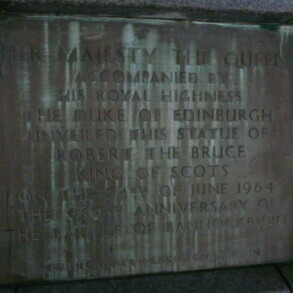 The plaques have apparently had various treatments over the years as witnessed in historical records and photos. We were tasked with bringing them back to darker backgrounds with the letters highlighted. This has been completed partly on site and partly in our Telford based workshops where we have conserved, repaired where needed and made legible the indistinct lettering. We will be returning the bronzes to site shortly to coincide with the opening of the new centre. 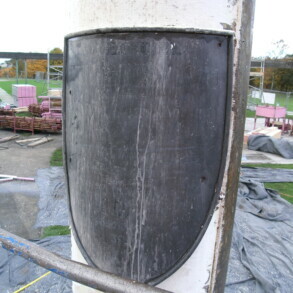 The shield shaped plaque on the flagpole, donated by the ‘Oddfellows’ has a painted inscription. Again over the years this has become illegible but with delicate cleaning to preserve the plaque surface and newly applied paint this will once again add to the newly re-furbished and conserved area.